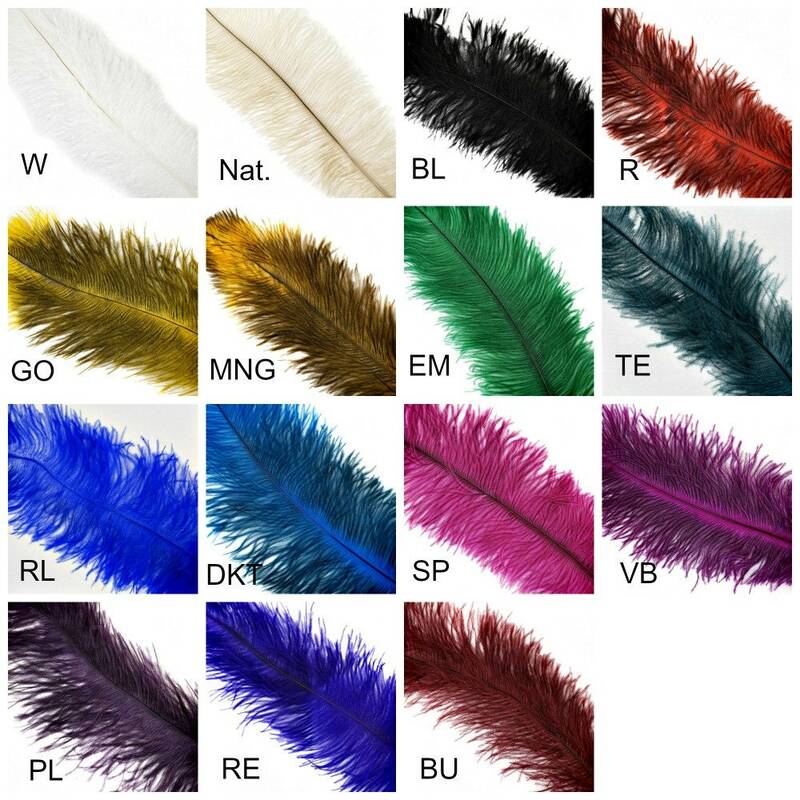 These Dyed over Natural Ostrich Floss Feathers will have unique differences and variances. These soft and flowing Ostrich feathers are called floss and are dyed over their natural markings, making each feather unique and varied in color. 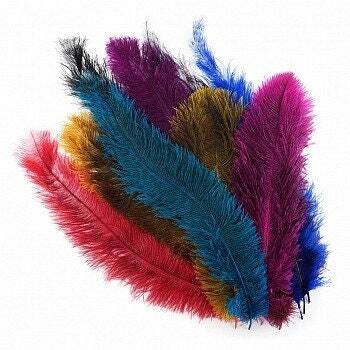 Ostrich Feather Floss range in size from 10-17 inches long and come in a 50 piece package. Ostrich Feather Floss are fun and flexible and do not have a stiff center quill as some other types of Ostrich feathers. 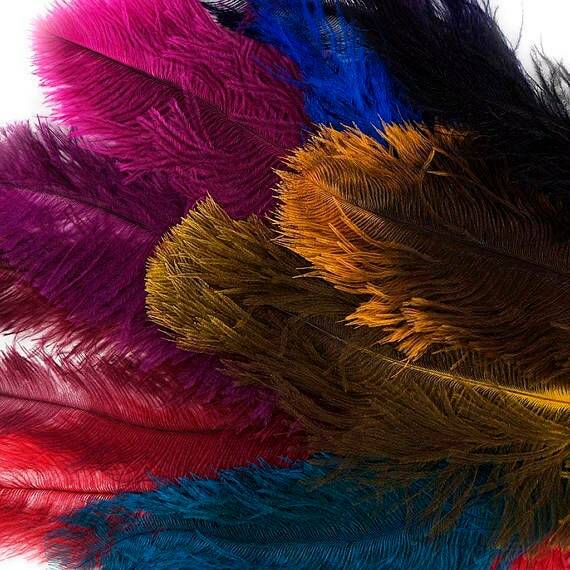 We have Ostrich floss available in a variety of colors to add a little spice to your projects.